Your child will spend a large part of his/her life in the educational system. Just like you we want your child to navigate this important part of life with enjoyment and success. 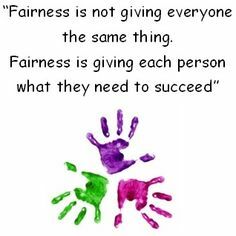 We believe every child has the right to be included in all routines in the educational setting. This inclusion is so much more than just physically being a part of the group. It means having the supports in place to make it possible for every child to participate to the fullest of his/her capabilities. At Blossom Occupational Therapy we want to work with you and your child’s educators to provide your child with the environment, supports and skills to promote the highest level of participation in all routines and tasks at child care, kinder and school. Facilitating the pooling of knowledge of everyone involved: you as the expert on your child, the educator as the expert on childhood development and learning and the occupational therapist on analysing what is hampering successful participation. all of us together drawing up a focused plan of how to support your child. The educator can then share this with everyone involved in your child’s care. Making the transition to child care, to kinder and to school is challenging for any child.